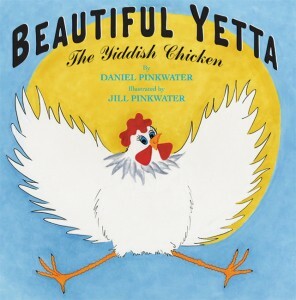 If you love chicken books like I love chicken books, then Beautiful Yetta: The Yiddish Chicken is one to add to your shelves. When I read a children’s book about chickens, even if it is humorous, I pay attention to see if the author is thinking of the chickens’ perspective or just playing off some of the stereotypes of these birds to make a funny kids book while ignoring some of the realities of the birds’ lives. 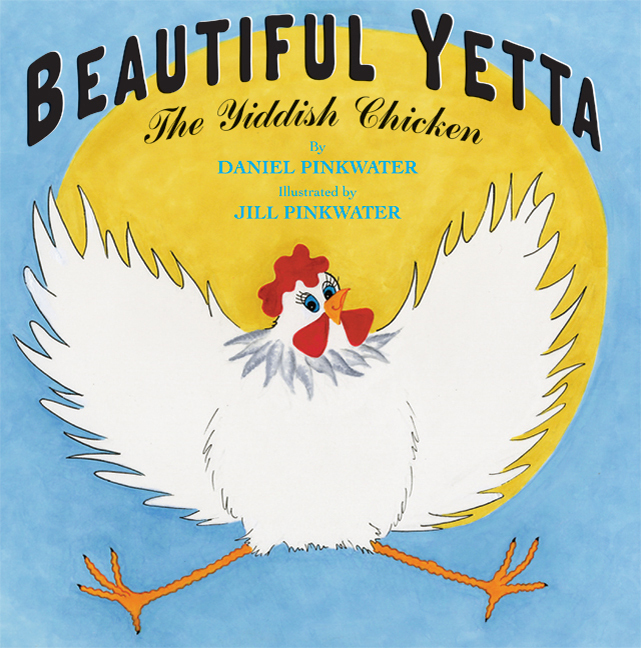 I’m pleased to report that the author/illustrator team of Daniel and Jill Pinkwater has nailed this one on the head by unflinchingly observing some of the realities inherent in animal agriculture while at the same time crafting a fun, folksy and multilingual tale (this book contains Yiddish and Spanish, as well as English). Naturally, this is not the end– in fact, only the beginning. Yetta has no idea how to survive in the urban environment in which she finds herself. After encounters with rats, buses and pigeons, Yetta meets a beautiful, colorful bird named Eduardo. After saving Eduardo (who turns out to be a wild parrot) from a cat, he and his flockmates adopt Yetta as their own. Trite but true, they all live happily ever after. For a special treat, click here to listen to Daniel Pinkwater and his NPR associates read the story. This book had me cheering for Yetta, and cheered that the author candidly opened the story with the truth about what happens to free-range, organic chickens after they are spent. I wish all of the cages had loose tops.